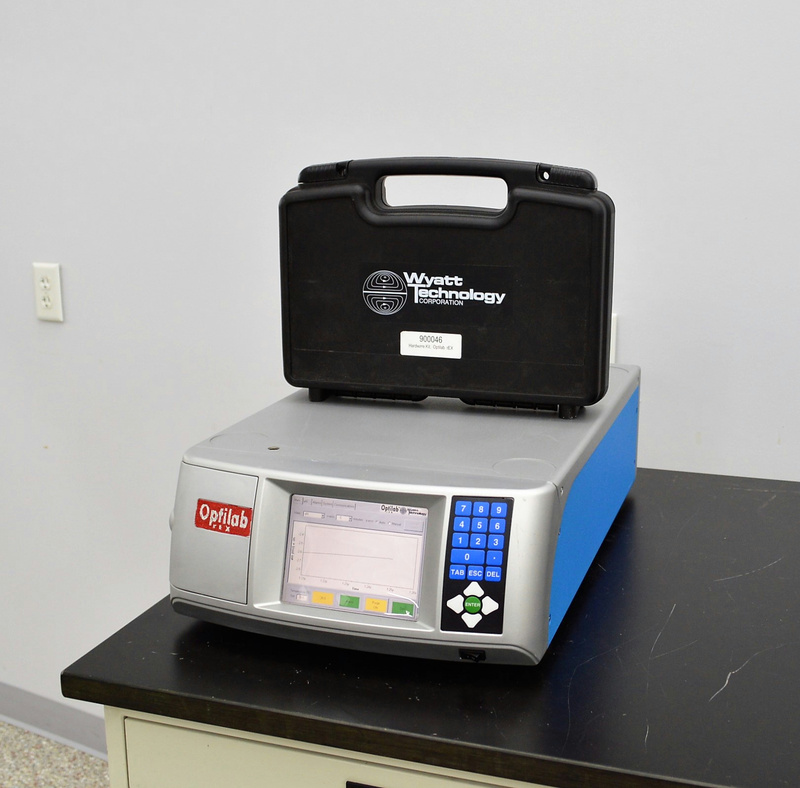 Wyatt Technology Model OptiLab WREX-09 Refractometer HPLC Refractive Index . New Life Scientific, Inc. This used RI detector is in excellent cosmetic condition and was reviewed by New Life Scientific technicians. The Optilab model label was damaged in cleaning; the technicians tried to repaint a similar label and it bubbled slightly, leaving a superficial imperfection. This product will be sold for parts / in need of repairs. The technicians noted that the instrument powered on and acquired an IP address. There were graphs and an accurate internal temperature readout produced. The membrane keypad functions and the menu tabs are easily navigable to meet the user's need. The Optilab was not connected to an HPLC system to take sample readings. The manufacturer has informed NLS that this product will be supported until October 2017 (10-year serviceable lifetime). Wyatt technicians reviewed this instrument in a customer's lab and were unable to get a reading from this instrument. This product will be sold for parts.